After the Old Stone Age, in the New Stone Age the use of straw-rope pattern pottery began, and people’s lives primarily consisted of hunting, fishing, and gathering. Later, in the Yayoi Period, Yayoi pottery was used and rice farming began. In the northeast area called Tohoku, rice farming began around 1 BC. Since the culture of rice farming can be equated with the foundation of Japanese culture, all forms of nature were worshipped as deities, including the grass/trees/rivers, heavenly bodies, and beasts and insects. Traditional nature worship in Japan was thought to have been created this way, and ancient Shinto evolved from this nature worship. In regard to Dewa Sanzan, it can be said that the worship of Mt. Gassan by the people living at the skirts of the mountain derived from the abundant crops grown from the plain that was quenched by the rich waters flowing from the snows of Mt. Gassan. The founder, Nojosen (said to be Prince Hachiko) endured asceticism and mortification of the flesh, and saw a vision of Kannon (Deity of Mercy) at Akoya. He took up residence under a giant cedar tree where the miracle occurred, and for three years lived by weaving clothing from tree leaves, and eating tree nuts and plant leaves. It is said that he came to be called Nojosen and venerated by people because he healed the illness and suffering of others including the leader of Dewa Province simply by preaching the “nojo issaiku” and chanting the Heart Sutra. At　At the time, Mt. Gassan, Mt. Haguro, and Mt. Chokai were already earthly deities that had been the objects of a deep faith practiced by the local people for a long time. Even the Imperial Court recognized the faith and bestowed shrines on Mt. Gassan, Mt. Chokai, and Mt. Haguro. It is thought that Mt. Gassan was worshipped as a deity that protected the nation, and Mt. Chokai brought disaster when it erupted out of anger because of sacrilege committed by the people living at the foot of the mountain. Tokuichi sharply criticized the doctrine of the Tendai sect of Buddhism and had bitter arguments with Dengyo Daishi Saicho. As a scholar priest of the Hosso sect of Buddhism that questioned the esoteric Buddhism of Kobo Daishi Kukai, he was at first at Mt. Tsukuba, but later moved to Aizu and built Enichi Temple. Tokuichi always walked in mountains, and built temples and lived on the mountains he opened. It is said he was content with simple foods and underwent harsh ascetic training. It is also said that he visited Mt. Haguro. Anne was a celebrated priest of the Tendai sect who perfected esoteric Tendai, which was said to be inferior to esoteric Shingon Buddhism, and was an individual who induced an energy that surpassed esoteric Shingon Buddhism. In 846, he was sent as a teacher to the Provincial Temple of Dewa Province and became the head priest there. Later, priests from the Tendai sect continued to become teachers in Dewa Province and priests of the Provincial Temple. In place of the Six Sects of Nara, Tendai and Shingon Buddhism spread throughout the Tohoku Region, particularly in Dewa Province. At the time, Mt. Gassan, Mt. Haguro, and Mt. Chokai were already earthly deities that had been the objects of a deep faith practiced by the local people for a long time. Even the Imperial Court recognized the faith and bestowed shrines on Mt. Gassan, Mt. Chokai, and Mt. Haguro. Tokuichi and Anne both underwent harsh ascetic mountain practices. The tradition of a priest entering a mountain to undergo training had already begun from the Nara Period. The monk, Dokyo and his teacher, Genbo both went to into seclusion on Mt. Katsuragi for training. Thus developed Japan’s unique the mountain worship that had its beginnings in mountain asceticism in the Nara Period. Taoism and Onmyodo (way of Yin and Yang) fused to establish Shugendo. 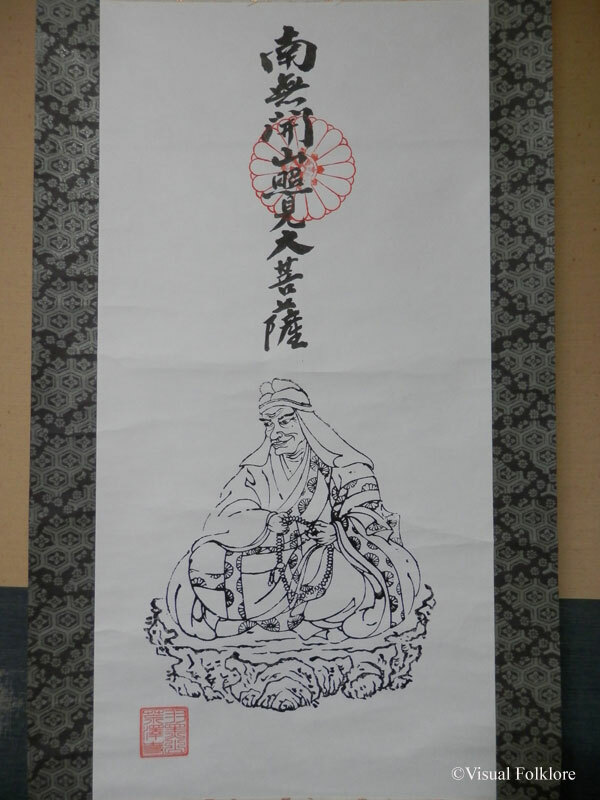 In the biography of Ryogen (Jie Daishi), the 18th head priest of Mt. Hie, it is written that in 977 mountain ascetics from Mt. Haguro blew their conch shells before the gate to pay tribute to his pious acts. This shows that around the 10th century, yamabushi priests from Mt. Haguro went out into the streets. In the late Middle Ages, the number of worshippers of Mt. Hayama suddenly declined, and around that time the number of worshippers of Mt. Yudono began greatly increasing, so Mt. 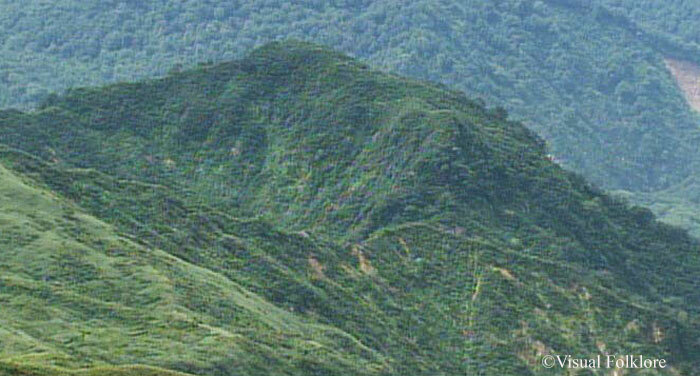 Hayama was dropped from among the three mountains of Dewa and Mt. Yudono was included. In addition, Mt. Yudono took on the character of an inner temple. A giant rock from which bubbled hot water was discovered in a ravine lying between the ridges of Mt. Yudono and Mt. Shinakura. In time, this giant rock spewing forth hot water came to be worshipped in association with Dainichi Buddha, and was a factor in popularizing the Mt. Yudono faith that worshipped the womb of the father, the womb of the mother, and ubagami (wet-nurse deity). Lifestyle of Dewa Shugen), Kosei Publishing Co., Ltd. 1993.